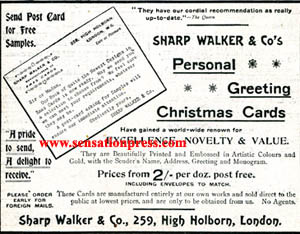 Cards by Sharp Walker of London. 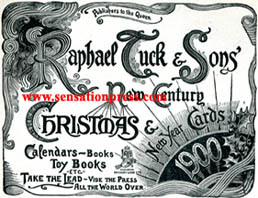 Raphael Tuck & Sons Christmas Cards and New Year Cards for 1900. An advert published in 1899. 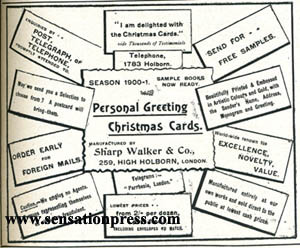 Personalised Christmas cards available to order from Sharp Walker & Co. of 259 Holborn, London.